Do you love to grill? We do! 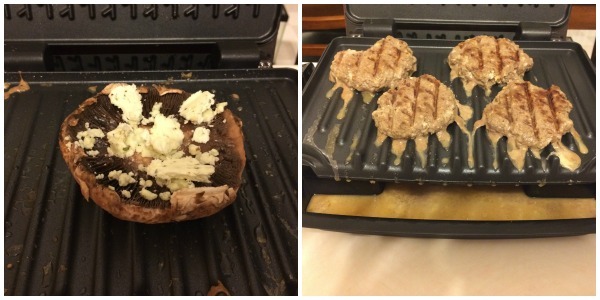 In our home, we love grilling outdoors but most of the time, we do things indoors with our older George Foreman Grill. This thing has been around for almost a decade and was my husband’s trusty kitchen appliance all throughout college. While we like our grill, it is getting older and doesn’t seem to have some of the features of the newer models that are on the market now. With how much I cook for us and the blog, we decided it was time to get a new indoor grill. As we were looking at the various grills that have come out in the last few years, we were approached to review the brand new George Foreman Removable Plate Grill. Seeing how it was similar to our older grill, we couldn’t wait to try it and see if it was just as good as our old faithful grill! 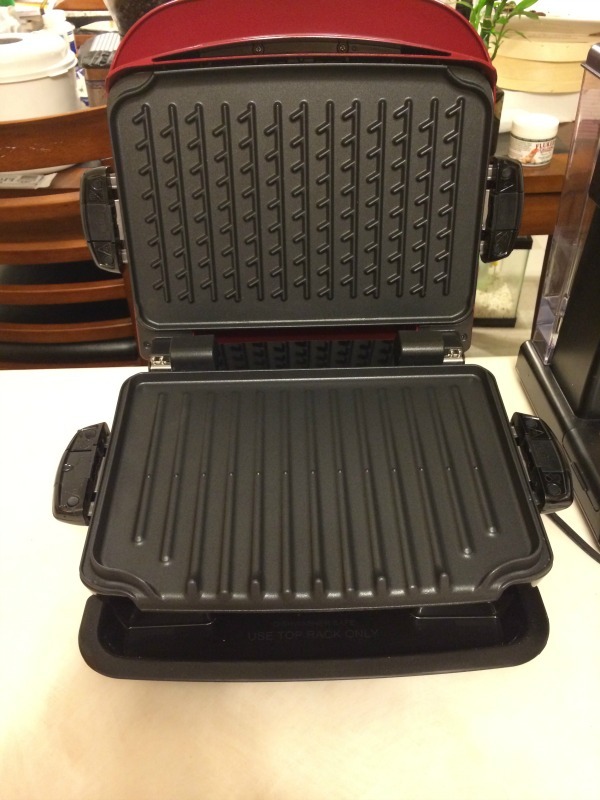 George Foreman Removable Plate Grill: What is It? Looking for an easy way to grill for two indoors? If so, we think you will love the George Foreman Removable Plate Grill. With its patented slope to easily drain fat from food, it makes your favorite meat and food not only healthier, but tastier too. As well, you can enjoy oil-free cooking with the non-stick coating on the removable plates, allowing you to get food off cleanly. Best of all, everything is dishwasher safe, making clean up a snap! It also has a built-in ready indicator, making cooking as easy as ever for college students or young adults who don’t have room for a full size grill outside their own home. One thing is for certain, once you have cooked on this grill, you will never cook steak or chicken on the stove again! 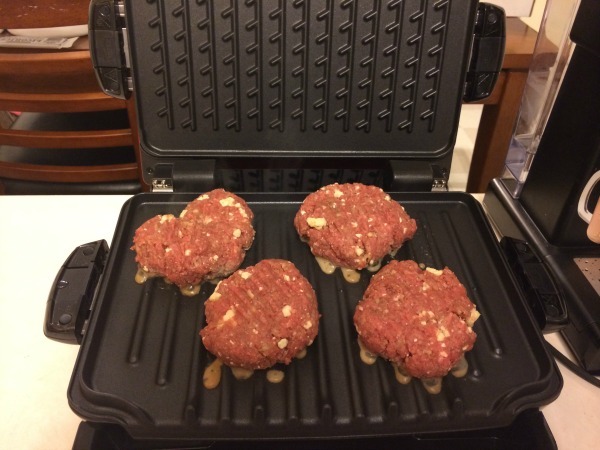 Having owned a Foreman Grill for quite some time, I was pretty excited to try out one of the newer models. We knew there had to have been some major changes, since our grill is going on 9 years old. So far, we have to say that we are very impressed with this grill. Unlike our older grill, it is much more compact, making it the perfect size for people like us who have a small kitchen and limited counter space. As well, the stand allows you to move it up to allow fatty things to drain, or have it completely flat, letting things like vegetables or panini-style sandwiches cook neatly on the grill itself. Best of all, the hot plates easily come off for cleaning and are dishwasher safe, making this grill easy for anyone on a busy schedule. Really, I consider this grill a must for anyone who is living in an apartment or has a small kitchen. Based on our own experience, we are delighted to give the George Foreman Removable Plate Grill an A+ rating! Would you like to purchase this amazing grill for your own family? You can currently buy the George Foreman Removable Plate Grill at your local Wal-Mart or Wal-Mart.com for only $59! i have used this grill until it burned out. i had it for several years. another fine grill in the Foreman line, would like to win one. I’ve heard a lot about this Grill. It makes hamburgers in no time. Very easy clean-up and suppose to be so much healthier. I would love to try one.